OSEA Ethnographic Field School. Ethnography training in Mexico. Field Study Abroad. OSEA-CITE: Learn Maya, Summer Intensive Maya Language Program, Maya Language and Culture, Yucatan, Mexico, FLAS Maya, Maya dictionary, Summer Study Abroad, Maya cultural immersion, Summer Intensive Maya Immersion Language Program, Less Commonly Taught Languages, Latin American Area Studies, National Resource Centers, Yucatec Maya, Linguistic Immersion in Maya Language, FLAS Fellowships, Summer FLAS Fellowships, FLAS Awards, Foreign Language Area Studies Grants, FLAS Approved Summer Intensive Language Program, Chichen Itza, Yucatan, Mexico. Ethnographic research methods. ethnography field school. Guatemala service learning. Ecotourism, tourism development. the moralisation of tourism studies, heritage studies, second language learning, service learning, community action research. interdisciplinary anthropology, chilam balam maya books, Mayan language studies, indigenous language revitalization. Participants learn how to conduct specific types of ethnographic research projects focused on specific topics and issues defined in the context of ongoing research. Participants select their areas of interest and focus, then design specific projects accordingly. The core seminar provides historical and ethnographic contexts on the research issues and problems that are investigated. The ethnographic field methods and practicum course is a series of workshops in which participants are trained in the methods and then conduct their own research. There is a student conference in which the participants present their research achievements and results. Start: On-Site Orientation Meeting in OSEA, Pisté starts at noon on start date. End: Departure from Pisté no earlier than noon on program end date. Credits: 8 credit hours, at undergraduate or graduate level. Start Time: On-Site Orientation Meeting in OSEA, Pisté starts at 12am on start date. End Time: Departure from Pisté no earlier than noon / 12pm on program end date. Credits: total 6 credit hours, at undergraduate or graduate level. Program is open to: undergraduate majors and graduate students in any social science, art, culture, communications, and applied research fields; persons who have completed a BA, MA, or other higher degree but are not currently enrolled in a degree program. Home-stays provide linguistic and cultural immersion; options for lodging and food in family-run posadas are available at an additional cost. Families are carefully selected based on the Program Director’s 24 years of experience in the community of Pisté. Participants are required to purchase a hammock for sleeping in homestays; a special hammock shopping trip to a nearby town is organized during the first days of the program. The program begins with intensive language training and a core seminar on heritage that provides participants the linguistic skills and conceptual tools to conduct fieldwork in Maya communities on heritage issues. 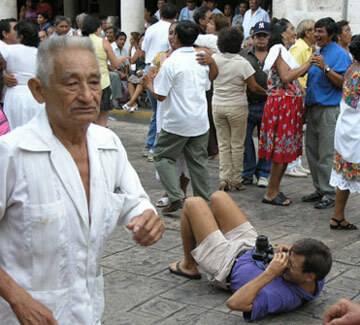 Heritage is conceived as an inclusive domain that includes social processes and problems involving archaeological heritage development, tourism, sustainability, community participation and control of development, state policy and strategies of tourism, intangible cultural heritage such as handicrafts production and art markets, Maya medicine and systems of health and healing, urbanism and environmental heritage. Special pricing for Mexican and other Latin American citizens is available. To be eligible you must (1) not have US citizenship or passport nor have a dual citizenship with the USA and an other country. (2) You must not have studied for or be currently enrolled in a high school, bachelors, masters, graduate certificate, or doctoral program in the USA or in any country of Europe. (3) You must be a citizen of and reside in Mexico, Latin America or other qualifying country with full time residency. (4) You must be able to provide proof of advanced levels of English proficiency of sufficient level to be able read and comprehend English language texts and successfully participate in the ethnography program. Mexican, Latin American and other qualifying nationals can receive up to a 55% discount on OSEA programs. Each program rate is different. Discounted tuition rate for OSEA Ethnography Field School is $1850. * Direct OSEA Enrollment allows students from any university with any residence status or nationality to enroll directly with OSEA. Payment is made directly to OSEA as per guidelines described in the application process and on the OSEA website. Upon completion of the program the student receives an OSEA transcript and a transcript from its accredited partner the Universidad Autónoma de Yucatán or UADY. In order to facilate the transfer of credits, students receive two copies of each transcript in two separate sealed envelopes in September following the completion of summer program. One of these sealed and stamped envelopes should be stored among your important papers and the second envelope is then hand-delivered by the student to the registrar of their university in order to comply with their rules for accepting transfer credits. Please note that your university may have a policy that requires the registrar to reject transcripts delivered in envelopes that have been tampered with or broken. 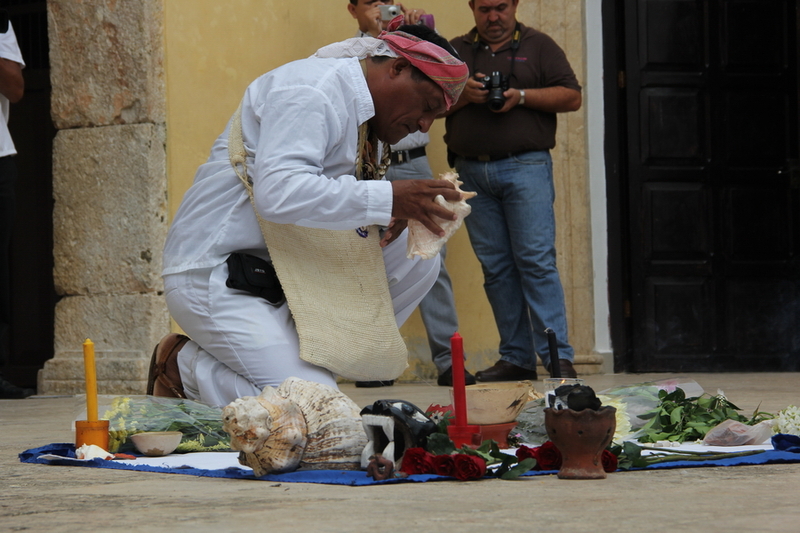 OSEA Ethnography Field School Coursework is Accredited through a Partnership with the Universidad Intercultural Maya de Quintana Roo UIMQRoo. The UIMQRoo provides OSEA ethnography undergraduate participants with a fully accredited UIMQRoo transcript.